S eptember is always a busy month as summer ends, schools reopen, football season starts, and the transition to fall begins. In the first two weeks of September, I had the opportunity to interact with AMSAT members at two different venues. Over the Labor Day weekend, John Kludt, K4SQC and I gave an AMSAT Forum at the Shelby (NC) Hamfest held at the Cleveland County Fairgrounds, an annual event that celebrated its 61st anniversary this year. Shelby is important because it is the only event where AMSAT currently has a hamfest presence in the Carolinas or Virginia. The weather was perfect for being outdoors, and seeing old friends was great as well. I presented an update on AMSAT programs, and John provided a satellite overview, including information about our upcoming Fox launches. The forum was well attended and included some excellent questions from the audience. The following weekend (September 9-10) was the New England ARRL Convention at Boxborough, MA, which is the only venue with an AMSAT presence in the six New England states. My first time attending Boxboro (how the locals spell it) was in 2004 when I was living in Concord, NC, and drove up to give a presentation at the AMSAT Forum. After moving to Westborough, MA, in 2006, Boxboro was still an every other year event. Following the 2014 ARRL National Convention (which canceled Boxboro that year), the decision was made to make Boxboro an annual event. As we did last year, Burns Fisher, W2BFJ and I handled the Saturday AMSAT forum at noon where my presentation was similar to the one the prior week in Shelby, and Burns provided an engineering review. This year, AMSAT’s presence was enhanced with (1) more forum time on Sunday morning, (2) AMSAT Corporate Secretary and now Board member, Paul Stoetzer, N8HM, giving the keynote at the Saturday night banquet, and (3) more satellite demos. Sunday’s forum was one hour longer, allowing time for a “beginner’s forum” by Ernie Bauer, N1AEW, that included taking the attendees outside to watch a satellite demo by Paul, N8HM, working FO-29. The ability to explain to attendees what it takes to work a satellite, then observe an actual satellite pass, and then go back to the forum so that Ernie and Paul could answer questions about the demo provided an outstanding opportunity to engage newcomers in learning all about satellite operations. Both the presenters and the attendees were excited about how well this approach worked, and it made a huge improvement in our ability to explain satellite operations. What made this possible was having a long enough forum time in the morning to allow at least one satellite pass to occur during the forum, and then having the satellite operator be prepared to do the demo. Indeed, during the weekend we had at least two satellite operators giving demos (Bob, KB1SWZ also worked the FM sats), which further built interest. The AMSAT booth was well-staffed, and we sold out of both the Getting Started Guide and laminated frequency charts while taking in seven new members and five renewals. It was a good weekend for AMSAT. As I write this column in mid-September, I’m reaching a milestone: if I’ve calculated this correctly, this is my 49th (and final) “Apogee View.” First elected as President by the AMSAT Board of Directors in October 2008, I’m completing my ninth term as President. I’ve also reached another milestone. As I recall, I was first elected to the AMSAT Board of Directors in September 1999, and I attended my first board meeting as a voting member in October 1999 when the AMSAT Space Symposium took place in San Diego, CA. The San Diego meeting was memorable because Qualcomm (based in San Diego) was testing their Globalstar LEO satellite communications constellation, and the attendees were invited to make free phone calls back home via satellite from the Symposium during the testing period. At the time, 44 of the 48 Globalstar satellites in orbit underwent systems tests. I took advantage of the opportunity to make a call back home to Jacksonville, FL, and spoke with my XYL (Kathy, WD4ASX), which was also her first experience conversing via a commercial satellite system. Globalstar subsequently entered service in 2000. Like many service innovations, Globalstar was subject to changes in the marketplace and economics. However, it survives today with plans to launch a new generation of satellites. As Globalstar has evolved and adapted to new circumstances and challenges, AMSAT has likewise changed over the years in response to external opportunities and conditions beyond our control, as well as the dedication of many of our volunteers and leaders who have made a great impact over the years. It is now fall 2017, and after 18 years (9 times elected by the membership for a twoyear term) of serving on the board, I’m not a member of the new board that is now in place following the announcement of election results on September 15. Two new voting members were elected: Clayton, W5PFG, and Paul, N8HM (filling the vacancy created by Bob McGwier, N4HY, who also declined to seek reelection), both of whom served previously as alternates, and a new alternate, Peter, W2JV. I’m excited that the new board will benefit greatly from these individuals’ insight, enthusiasm, energy and commitment to move AMSAT forward. “Succession Planning” is an important part of managing the future of any organization and includes providing a way to bring the next generation into leadership positions. They join a strong team consisting of three members elected in 2016 for two-year terms – Tom Clark, K3IO, Mark Hammond, N8MH, and Bruce Paige KK5DO – and the reelection of Jerry Buxton, N0JY, and Andrew Glasbrenner, KO4MA. At the upcoming board meeting in Reno on October 26, the board will elect a new President. Nine years as President of AMSAT has been a high honor and privilege. I appreciate the focus and dedication of our senior leadership team, and the scores of volunteers that they work with, to move the organization through the trials and tribulations, while also creating the outstanding successes over the years. Nine years is a long time to lead an organization, and now is the time for new leadership with the energy, focus, and vision to deal with the challenges that face AMSAT today. As I’ve repeated over the years, “Keeping Amateur Radio in Space” is the vision that keeps us focused. However, how we meet that commitment has evolved considerably during my watch. That evolution is reflected in the 2009 decision to build 1U CubeSats with the basic FOX design that subsequently has proven itself, with the expected launch of four Fox-1 class satellites in the next six months. AMSAT VP-Engineering, Tony Monteiro (SK), noted the limited resources available to AMSAT at that time to build and launch amateur satellites. He convinced the AMSAT board in 2009 that partnering with universities having researchers interested in flying scientific payloads would justify to NASA covering the launch of amateur radio satellites; the scientific value met NASA mission objectives. Fox-1A (AO-85), RadFxSat-1/Fox-1B, and RadFxSat-2/Fox-1E are on ELaNa launches because of the science as well as student involvement in these projects. “Well, he IS the system engineer. He’ll do fine,” said Tony, citing Jerry’s long experience with the railroad. I remember this well because Tony’s response was typical Tony. I also remember it well because I was in Texas on March 26, 2014, visiting family and had lunch that day with Jerry to discuss some matters of which Jerry was unaware concerning Engineering. Ten minutes after Jerry dropped me off at my son’s home, I was notified of Tony’s passing by his family. Tony’s assessment of Jerry was certainly correct. Later that spring, I was honored to give the eulogy for Tony at his memorial service at the North Parish of North Andover Unitarian Universalist Church in North Andover, MA, noting that amateur radio is an area where Tony made a significant difference to people throughout the world. An interesting evolution of the Fox program is that universities are coming to AMSAT to establish relationships because they see that AMSAT is a viable partner. For example, we’re starting to see situations where a university wants to incorporate our space hardware into their satellite design. Consequently, the University of Washington will utilize our linear transponder design in their upcoming CubeSat mission. This is a great example of “putting an OSCAR into every CubeSat” approach. Congratulations to AMSAT VP-Engineering Jerry Buxton, N0JY, for developing this opportunity to expand amateur radio in space. Our coming to grips with ITAR in 2008- 2009 cleared the way for our engineering volunteers to dedicate their time and effort on future satellites with a new appreciation of what is required to “play in space.” I wrote a paper for the 2010 Proceedings of the AMSAT Space Symposium, “AMSAT and ITAR: Lessons Learned,” that outlined the steps AMSAT took under the ITAR self-disclosure process that allowed our volunteers to continue their engineering work with AMSAT without concerns for past “sins.” I also provided a presentation at the 2010 AMSAT-UK Colloquium that explained how ITAR impacted AMSAT-NA’s ability to collaborate on international projects. The successful deployment of ARISSat-1 in August 2011 from the ISS opened the door to using Software Defined Radio (SDR) technology in amateur radio spacecraft, demonstrating the versatility of a single system to provide a variety of operating modes including slow scan TV, as well as telemetry downloads. The creation of worldwide data collection with forwarding of telemetry from ARISSat-1 to a central server has now been incorporated into the Fox-1 spacecraft with scientific research directly benefiting from the efforts of radio amateurs worldwide to provide data to a central server. I wrote a paper for the 2012 Proceedings of the AMSAT Space Symposium that summarized the significant benefits of ARISSat-1 on educational outreach as well as general amateur radio impact as documented by those that collected SSTV imagery and telemetry packets (“An Overview of the ARISSat-1 Mission”). ARISS (Amateur Radio on the International Space Station) has evolved considerably in the past few years, responding to a variety of new challenges and relationships. SAREX (Shuttle Amateur Radio Experiment) was started in 1983 with the flight of STS-9 and Owen Garriott’s first onboard use of amateur radio from space. SAREX established the viability of placing amateur radio assets on human spaceflight platforms and was the precursor of expanded opportunities that a space station could provide. ARISS was established in 1996 before the first International Space Station segment was placed in orbit to establish a formal relationship between amateur radio organizations and the space agencies managing ISS. Amateur radio equipment already was onboard the ISS before the first crew arrived in November 2000. Now, 20+ years after the establishment of ARISS, amateur radio presence continues on the ISS. However, in today’s environment, AMSAT now is taking an even bigger role than before in leading ARISS. ARRL continues to support ARISS. However, with the departure of the ARRL’s Debra Johnson, who served as the ARISS Education leader, ARRL HQ staff are no longer directly engaged in the day-to-day leadership of U.S. activities with ARISS. AMSAT VP-Human Space Flight, Frank Bauer, KA3HDO, leads ARISS-International, the body that serves as the voice of amateur radio to the space agencies regarding both the operational and technical aspects of amateur radio’s presence onboard the ISS. Rosalie White, K1STO, continues as the ARRL international delegate to ARISS. She temporarily has volunteered to lead a team of ARISS volunteers from AMSAT and ARRL who now are engaged in school selection after review of submitted proposals, providing educational guidance to the schools in preparation for their contacts, and documenting the impacts of those contacts. An added responsibility is finding the funds to support the costs of keeping ARISS sustained and thriving. Such costs include the development of new onboard hardware systems used for school contacts and by hams on the ground. The fundraising effort led to new relationships with CASIS (Center for Advancement of Science in Space), which manages the ISS U.S. National Laboratory. CASIS provides co-funding to help underwrite ARISS management costs that include salary for the mission control contractor at Johnson Space Center who coordinates the scheduling of contacts with the ISS operations managers. Frank has also secured funding from SCAN (Spacecraft Communications and Navigation) at NASA HQ to co-fund the mission control contractor to keep ARISS going. Along with funding support, however, is the necessity of documenting the benefits generated by that support. The results of that funding support must be documented according to administrative requirements to meet our benefactors’ needs. Meanwhile, ARISS is making plans to develop and deploy the next generation of amateur radio systems on board the ISS to replace aging and failing equipment. The replacement of failed equipment is critical but also time-consuming and expensive; like any system to be placed on the ISS, new radio systems must meet NASA safety certification standards. This requires more funding for hardware development and safety certification. I continue to be impressed by the dedication, ingenuity, and technical tenacity of the ARISS-US team as they tackle an ever changing environment. The overall impact of ARISS on students and educators at all levels is remarkable. ARISS contacts at schools and other venues put amateur radio on center stage, not only showcasing the technical aspects of our hobby, but demonstrating to students, teachers, and family/friends that amateur radio today plays a critical role in support of the ISS and builds goodwill within their communities. Just as important, an ARISS contact can provide the spark to encourage students to pursue their interests in STEM, which in turn can potentially translate into interests in wireless communications and sometimes amateur radio. We cannot quantify the overall impact of ARISS contacts on students as they matriculate to higher education and careers. We do know that the immediate “wow” impact on students taking part in an ARISS contact coupled with the pre- and post-contact educational experience do create the potential for long-lasting educational benefits, as well as encourage family/friends and educators to support those aspirations. The ARISS of today is the result of a variety of relationships that Frank and his team have nurtured to keep the program going as well as the dedicated efforts of many individuals that support ARISS as volunteers who happen to be AMSAT members as well. I take pride in the fact that the AMSAT Board of Directors and the Senior Leadership Team, despite the ever-changing financial and operational circumstances, have served as a bedrock of support for ARISS. While the program depends upon a multitude of individuals and relationships, AMSAT has remained steadfast in support of amateur radio’s relationship with human spaceflight. The human spaceflight program that started under the leadership of Bill Tynan, W3XO, in the early 1980s continues 35+ years later in response to changing circumstances and opportunities. 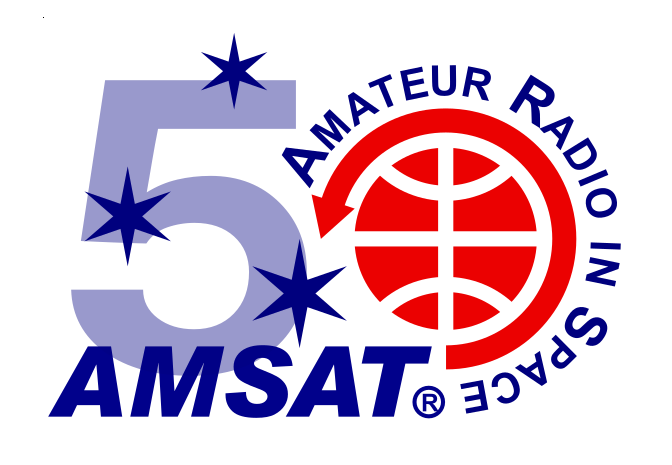 The announcement I made at the 2017 Hamvention during the AMSAT Forum that the U.S. Air Force Academy satellite FalconSAT-3 will be utilized as an amateur radio satellite finally has happened. ANS-267 on September 24 provided the details. This news is outstanding for both amateur radio and AMSAT, reflecting the A.F.A’s desire for FS-3 to have a new communications mission and to collaborate with AMSAT. I’m thrilled as I leave office that another satellite is now available for amateur use as we await the launch of AMSAT’s four Fox-1 class satellites later this year and into 2018. Administratively, AMSAT continues to evolve and develop services in response to changing membership expectations. The AMSAT Journal is a key member benefit and under the leadership of editor Joe Kornowski, KB6IGK, the Journal is being published on time every other month containing articles developed by our members and the senior leadership team. Before Joe’s assumption of the editorship in 2015, JoAnne Maenpaa, K9JKM, served as editor starting in 2012, and before her, Ed Long, WA4SWJ, was the editor. Each of these individuals spent many hours putting together a first-rate magazine. Likewise, the AMSAT News Service under the leadership of Lee McLamb, KT4TZ, continues to provide a weekly release full of useful information that helps to bind together the worldwide amateur satellite community. One of the lessons learned over the past nine years is that, with a mission-critical requirement, it probably makes sense to put $$$ resources into it to ensure completion. While we take great pride in the volunteer nature of AMSAT, limitations regarding how well volunteers can focus and produce results when there are significant time constraints can limit self-motivation. Volunteers define their priorities and how much time they will spend on volunteering. They have family and job responsibilities that take higher priority. One cannot “fire” volunteers because, by definition, they are not employees. That means AMSAT cannot require a volunteer to focus more time to complete tasks by a stipulated deadline. Volunteers continually come and go as circumstances and interest dictate, meaning that we must continually look for talent to fill the gaps when someone is no longer available. An example of a project not getting done is in the area of Information Technology (IT). For years (as I recall, going back to 2004) we’ve been trying to create a new membership database system to replace the one that Tom Clark, K3IO, created using dBase III in the early 1980s to run under DOS. The new database could become the basis for managing a members-only website as well as enhance our membership management processes. Over the years, we went through various fits and starts, but in each instance, progress stopped at a certain point. The reason was that developing such systems is real work done by competent people requiring significant working hours. Those people’s day jobs were very similar to their volunteer efforts. It wasn’t fun for them, and other priorities took them elsewhere. In 2016, Joe Fitzgerald, KM1P, recommended that AMSAT retain a professional IT firm. The firm’s task would be to: (1) develop a membership database, a new website structure to replace the “temporary” website that replaced the former one that was hacked in February 2013; and (2) create a new online AMSAT Store with better security and a better shopping experience for users. Joe’s recommendation was, instead of depending on volunteers, to spend the money to get the job done under a contractual relationship with project definitions, milestones and product goals. The board accepted his recommendation and allocated funds for the development effort. The initial results are evident in the new AMSAT Store and the new AMSAT website that went into service over the summer. The AMSAT membership database is still evolving, and I’m hopeful that it will be fully operational by the end of 2017. Once it is fully functional, the AMSAT leadership can consider how best to develop a members-only website capability, as well as determine how to implement electronic publishing. I see similar trends in paying for someone’s time to focus in those areas with significant deadlines and a substantial workload. For example, as we become more engaged with outside organizations that could provide funding support for AMSAT programs, they will want AMSAT to provide metrics and reporting of significant developments on a weekly or monthly basis. Paying for the services of someone to handle these tasks would make sense. In certain situations over the years, we’ve also paid individuals to complete satellite systems to meet testing or delivery deadlines. As we move forward, I wouldn’t be surprised to see a growing trend towards paying for individuals to dedicate their time and effort to produce a quality product by stipulated deadlines. Of course, the ability to cover such expenses is dependent upon AMSAT having the necessary resources. Expanding membership to cover administrative and operational expenses related to maintaining AMSAT’s presence is important, but so is raising funds for the projects that we want to build. What about the future? I’m confident that the successes of the past nine years that I served as President will lead to new opportunities in AMSAT’s future. Our university relationships developed under the Fox program are strong and could lead to future collaboration. The ASCENT program is developing innovative technology that could be used in a variety of projects. Our relationship with Ragnarok Industries as it pursues NASA’s CubeQuest Challenge has resulted in serious engineering development work applicable for future opportunities. Our collaboration with Virginia Tech on the Phase 4-B project has created new relationships that hopefully will lead to new opportunities for geosynchronous orbiting amateur radio payloads despite the travails of the host payload that has significantly delayed their project schedule. A key benefit has been incorporating SDR into the payload development and the resulting ground station design — work that has potential application in a variety of scenarios. I cannot predict the future, but I do know that AMSAT’s volunteers will be positioned to take advantage of opportunities that may arise because of the relationships that have been established within industry, NASA, educational institutions and the amateur radio community. AMSAT has been a significant part of my life since I joined in 1983 and assumed an initial leadership role as Director-Field Operations in 1992 that later led to serving as VP-User Services (2004) and then VP-Strategic Planning (2006) before becoming President in 2008, as well as serving on the board since 1999. I’ve had the pleasure of working with some impressive people inside of AMSAT as well as the broader amateur radio community over the years. Whatever accomplishments have been achieved during my time as President have been the result of dedication, hard work and the vision of the entire AMSAT team. In closing, I also wish to extend my thanks to Martha Saragovitz, AMSAT’s sole employee who also serves, along with Tom Clark, K3IO, as our “corporate memory.” Martha will reach 40 years of service with AMSAT this January, a phenomenal accomplishment. She started as an administrative assistant in January 1978 and has seen it all through the years. While she’s not licensed by the FCC as an amateur radio operator, she is probably more qualified as a communicator with amateurs than anyone else. She is the “voice of AMSAT” as she speaks with one and all via the AMSAT phone line. She sees old friends every year at Hamvention and the AMSAT Space Symposium. She helps coordinate and execute the plans for the Space Symposium and AMSAT’s presence at Hamvention each year. She serves as a centralized conduit since she talks with everyone. To many of our members, Martha represents AMSAT with her day-to-day presence. Much of the work that must be done to keep AMSAT moving forward on a day-to-day basis is done by Martha. During her work day she processes AMSAT Store purchases, new memberships and renewals, pays the bills, prepares budgets (under the guidance of AMSAT Treasurer Keith Baker, KB1SF), works with the accounting firm to prepare for our Annual Review and submission of our Form 990 and 990T tax returns, ships boxes of items to our volunteers handling various hamfests, and otherwise keeps things moving on an administrative basis. Her attention to detail, particularly with financial records, is extraordinary. Every month the checkbook is balanced to the penny, the QuickBooks Reports are complete and balanced, and the accountant continues to rave about how thorough her preparation of our financial records is. For the past 25 years after I became Director- Field Operations I’ve interacted with Martha in a variety of areas. Her writing skills and thorough grasp of grammar and punctuation are extremely helpful to me as I ask her to review my drafts of articles for the AMSAT Journal and critical letters (she’ll be reading this before you do, and I trust she won’t be upset by my recognition of her considerable impact). I’ve come to depend upon her common sense and sensitivity to how others might respond to my formal writing and comments. Over the years, she’s seen changes that might be initially viewed as threatening, but she realizes that we (AMSAT) can influence our future and that she and AMSAT can adapt to changing circumstances. At some point, she usually recognizes that it is possible to survive new ways of doing business and that, generally speaking, the change is for the better. Since I won’t be President in January when her service anniversary takes place, I’m taking this opportunity now to thank Martha for her support and dedication to AMSAT over the past 40 years and for making my various roles within AMSAT more successful for the past 25 years. She is someone who cares deeply about the organization and those who are part of it. Martha, thank you. Over the past couple of months, I’ve commented to friends, “I now want to play amateur radio rather than manage amateur radio.” With that thought in mind, I’m looking forward to getting my satellite station built in Folkston, GA (the antennas have been sitting in my garage in Folkston in original packaging since 2012). It’ll be fun to have time to scan the HF and satellite bands remotely when I’m not in Folkston or to spend time working on my 3-rail train layout that will be in Keller, TX (our primary residence), or to watch CSX trains provide the entertainment as they pass by the house and the ham station in Folkston. Thank you all for the support that you have extended to AMSAT and me during my tenure as President. Hopefully, in the not too distant future, I’ll be able to see you on the birds!